More rich Indians are flying than ever before, and many of them are choosing the ultimate in luxury -- a private jet. It's a fast growing industry that's already proving profitable for Kanika Tekriwal, founder of JetSetGo, an online market place for private jets and helicopters. 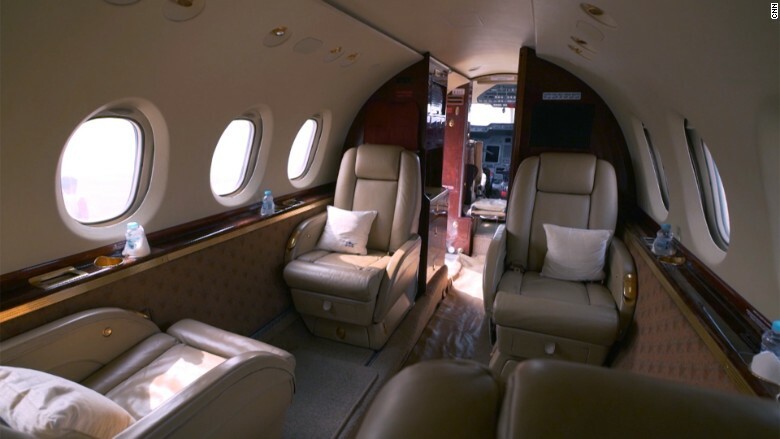 "There's a question that people are frequently asked: 'Are you private jet rich or business class rich? '," said Tekriwal. "I don't think it's difficult in today's day and age to actually convince a potential private jet customer to use a private jet." Air travel in India grew more than 20% last year and the country could overtake the U.K. as the world's third-largest aviation market by 2026, according to the International Air Transport Association. It is also home to 200,000 millionaires, according to consulting firm Capgemini. Tekriwal founded JetSetGo in 2012. The 28-year-old describes the company as the "Uber of the skies" and says the average net worth of her customers is $100 million. They can choose from 16 aircraft, paying anywhere between 200,000 rupees ($3,000) for a short flight and upwards of 20 million rupees ($300,000) for an overseas round trip. 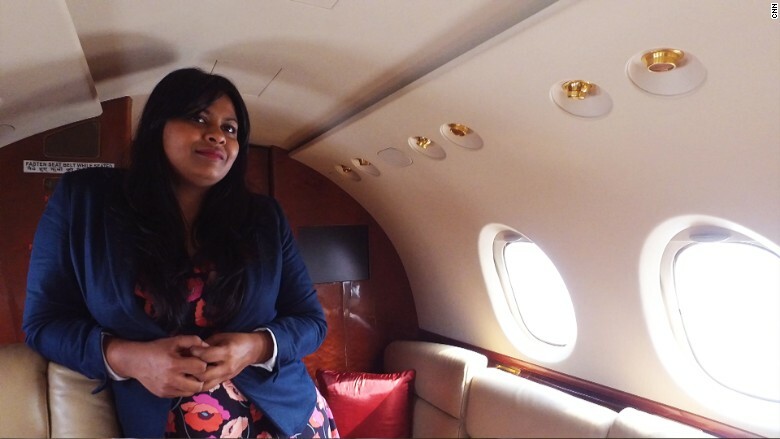 Kanika Tekriwal, 28, has turned her company JetSetGo into India's marketplace for private jets. JetSetGo has been profitable since day one, and currently operates with a margin nearly 11%. Tekriwal puts that early success down to getting the strategy right from the get-go. "There [were] two ways to do this," she told CNNMoney. "One was to go out and buy 100 planes, which didn't make sense given that there were already so many planes parked on the tarmac not doing what they were supposed to be doing." Instead, JetSetGo operates and manages private aircraft for their owners, in exchange for the right to rent them out to customers willing to pay. It provides a flight crew, engineers, security and catering. (In one case, customers wanted food from outside India, so JetSetGo flew an employee overseas to get it). "By doing this we are making these planes profitable for the owners, and getting superior service and better price to our customers," she said. And the market is only just taking off, Tekriwal added. 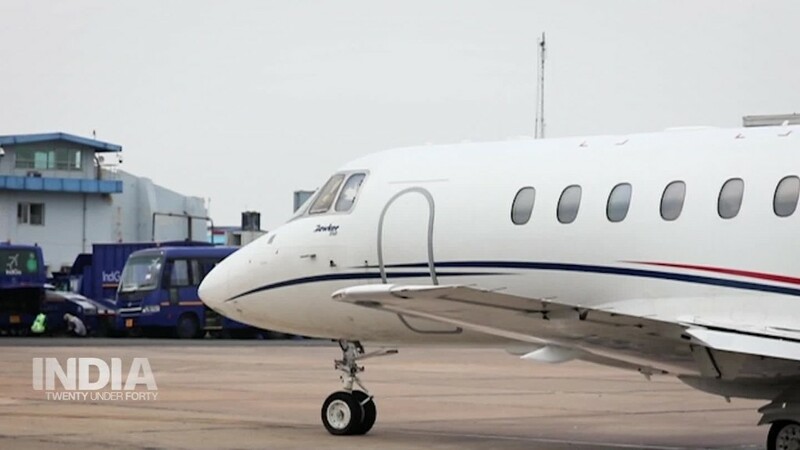 India has just 300 private aircraft compared to over 40,000 in the U.S.
As more Indians become able and willing to charter flights, the country's private jet industry is growing fast. But the young entrepreneur's path has been anything but straightforward. She has battled stereotypes throughout her company's short history. "'You are a girl; do you think people will use your brains?'" she recalls being told. "'Are you seriously going to be flying a plane?'" she said a customer once asked. But after defeating cancer when she was 21, there is hardly anything that fazes her. "I think that kind of made me fearless," Tekriwal said. "Throughout the treatment...the one thing that kept coming back again and again to me was now you can do anything in the world." Three years later, she started JetSetGo.